Kit Harington: Receiving the role of being beaten and finding love through "Game of Thrones"
Today, Kit Harington is a familiar name for most movie lovers. From the “illegitimate child” of the well-known lord Ned Stark (Sean Bean) is despised by the whole film, he has gradually overcome all challenges, asserted himself and become “the legendary prince “inside every fan. Season 8 Game of Thrones is coming soon not only the last time the audience sees Jon Snow wearing the familiar black Watch team Night Dress (Night Week) but also the farewell greeting the spring of Kit Harington. In Game of Thrones, “wild child” Jon Snow turns out to have a royal lineage of Prince Rhaegar Targaryen but no one knows. The same is true in life. The casual Harington Kit guy that people often see is essentially an eight-year-old grandson of King Charles II of England. His uncle, Nicholas John Harington, was the 14th South of the prestigious Harington lineage. Kit turned out to be a British noble lineage. Kit’s name has been attached to English actor since he was very young. Even when he was 11, he discovered his real name was Christopher – inspired by the famous playwright Christopher “Kit” Marlowe. Since then, the name like “taking” his life. Having once dreamed of becoming a young journalist, Kit eventually chose to turn to art and register to study at Royal Central School of Speech & Drama. While still in school, he received the role of Albert in the famous War Horse, adapted by the National Drama Theater in 2008. Young Kit boy in the play “War Horse”. The performance of the two Olivier Awards and the change of the young student life completely. One of the producers of the TV series Game of Thrones, while looking for an actor, went to see War Horse and invited Kit to the audition. He always had to keep this hair through his youth. Long, curly, messy hair and sometimes looking like crows have become one of Jon Snow’s features. In the first pilot film of Game of Thrones, Kit had to wear a wig because he couldn’t keep up his hair. Over time, it has gradually become the actor’s own brand whenever he walks to the street. 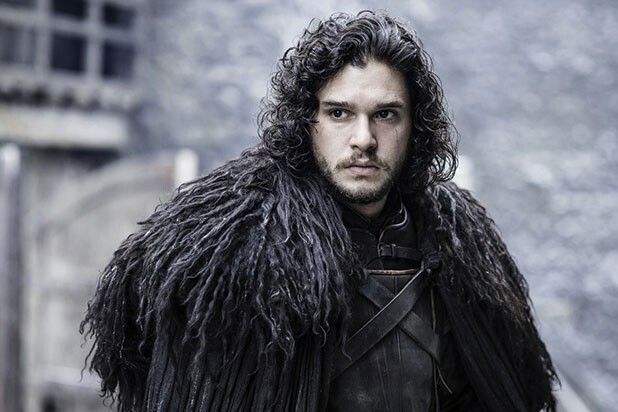 Game of Thrones was the first time Kit Harington got into film. And thanks to it, he had the opportunity to experience many difficulties and hardships of filming. Including having to live and work in your own fear. Kit Harington: Received the role of being bruised and found love through Game of Thrones – Photo 5. Kit afraid of spiders and crowds. So, filming the classic episode of Battle of the Bastards in the sixth season is almost the “most horrible and annoying” thing he has ever done in his life. Game of Thrones is the Emmy award-winning series in the TV village and is also the most successful film title in HBO cable history. Not only that, it has become a “global phenomenon”, spreading a strong influence on the media.